Exactly 100 days ago today, I published a post about MBLAQ’s appearance on the KBS2 variety show, Invincible Youth. One hundred days!! It still amazes me how quickly time is passing. 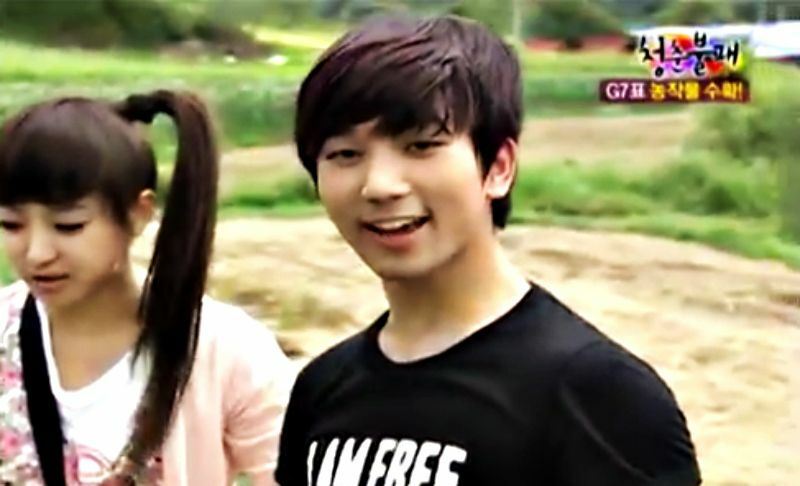 I thought it would be fun to revisit G.O’s moments during the first part of MBLAQ’s two-episode appearance, Episode 40 which aired on 6 August 2010. Where G.O and After School’s Joo Yeon’s antics in Episode 41 were perhaps filled with a little sizzle and a lot of humor, G.O and f(x)’s Victoria hit us with a little playful and a whole lot of adorable in Episode 40. MBLAQ dropped in to help the G7 begin harvesting the fruits of their labor as all of the eggplant, melon and tomato they had planted had matured and were ready to be picked and go to market. MBLAQ brought their strength and work ethic to the fields to assist the ladies, but they also brought their unforgettable charm, especially G.O. First of all, Victoria is beyond adorableness schooling G.O in the art of gently harvesting the tomatoes. And he, ever gracious and accommodating, follows her lead (even if he thought it was silly) making the tomatoes feel comfortable in the wake of being cut from their branches. Seriously the sweetness was almost too much for my vegan heart to endure!! 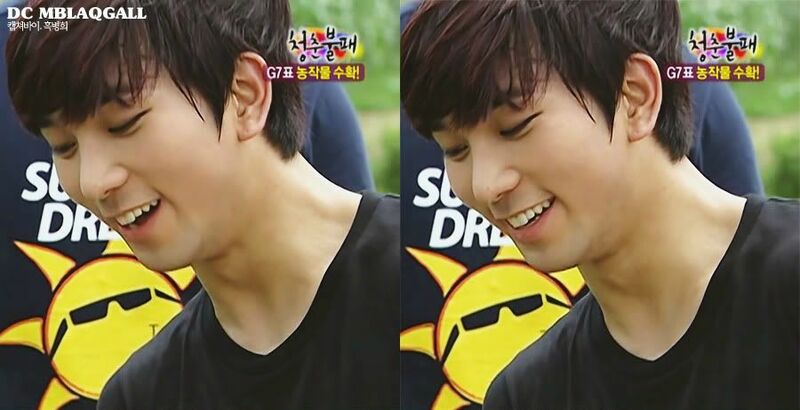 Especially when G.O kissed the tomatoes apologetically for causing them any pain. 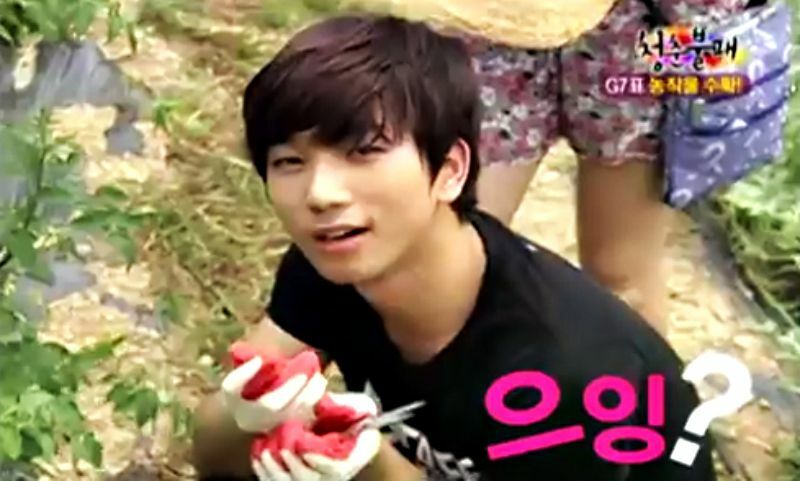 If this was my first introduction ever to G.O, he would have won my heart in..well, a heartbeat! Not only sweet to the unsuspecting tomatoes, when G.O sincerely compliments Victoria on all of her hard work on the show, he means it. Just so sweet and polite. Sometimes I wonder if G.O would have any inclination to return to the small screen in a variety show scenario when he returns from his service. I think with his talent, wit, intelligence, charm and presence he could have an entire variety program built around him. I kind of like the idea of say . . . him traveling to remote parts of Korea (even the world) and discovering untapped vocal talent that he would showcase by having them sing a duet with him. Categories: G.O Military Discharge, MBLAQ Musings, The G.O Files | Tags: f(x), f(x) Victoria, f(x) Victoria images, G.O, G.O images, G.O on Television, G.O on Variety Shows, G.O's Military Service, Invincible Youth, Jung Byung Hee, Jung Byung Hee images, Korean entertainment, Korean Variety, Korean Variety & Reality Shows, MBLAQ G.O, MBLAQ G.O images, MBLAQ G.O on Television, MBLAQ G.O on Variety Shows, Song Qian | Permalink.